Chinese companies are globalizing at an unprecedented rate. Haier is the world’s largest telecoms equipment manufacturer; Lenovo is the number one PC maker; and others such as Dalian Wanda, Fosun, Shuanghui and Tencent have been regular players in the global M&A scene. This book presents a detailed analysis of current and emerging Chinese multinationals, and the policies, strategies, and ambitions that are driving them today. Written by leading experts in the field, the book provides the most up-to-date insight into a phenomenon that is rapidly changing the global economic and business landscape. ● Chinese companies are changing the world’s economic landscape through their rapid expansion. ● This book provides analysis of current and emerging Chinese multinationals. ● Written by leading experts in Chinese globalization. 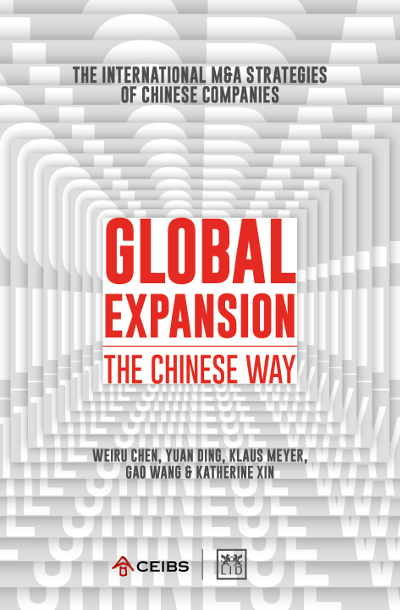 Katherine Xin is Professor of Management and Co-Director of the Centre for Globalization of Chinese Companies at the China Europe International Business School (CEIBS). Dr. Ding Yuan is Vice President and Dean, Cathay Capital Chair Professor in Accounting at CEIBS. Chen Weiru is Associate Professor of Strategy at CEIBS.